Spain is a modern country with a well developed economy, however there are still some areas of Spain that remain untouched by the 21st century. In general, much of Spain has developed into a thriving tourist industry, yet most of it’s ancient traditions have been preserved. Indeed, many of the traditional manufacturing industries have thrived on tourism and have simply adapted to cope. This basically means that Spanish handicrafts are readily available to visitors and still remain good value. Spain has an ample supply of very high quality leather and leather goods ranging from the smallest purse or handbag to leather furniture. Look out for the large factory outlets although watch the prices. You may find the range of goods better but the prices will be higher than those in the small shops. Many areas of Spain are known worldwide for the intricate lace and linen. Qualities do vary considerably and be wary of street sellers selling lace and linen in sealed packs; chances are the set will not be complete or the goods will be seconds. You are better to buy from a shop where you can handle the goods first. 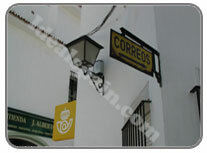 Most shops in Spain open at 10.00am and close for siesta at 2.00pm, re-opening at 5.00pm until 8.30 or 9.00pm. Many shops open 10.00 – 2.00 on Saturdays and most close on Sundays. You may find several shops open on Sundays in coastal holiday resorts. It is not normal to barter in shops unless they are very small establishments or on market stalls. Most shops now take all major credit cards. Foreign debit cards are rarely accepted. Cheques are not accepted unless they are Spanish Euro cheques and this is becoming rare. Be prepared to present your passport or driving licence if paying by credit card. Queuing is normal in Spain and in general everyone is polite and complies. Most towns and cities have their own weekly market where bargains can be had as well as an insight into local crafts and produce. It is quite acceptable to barter prices at markets and one should be careful for opportunist thieves who target tourists handbags and pockets. 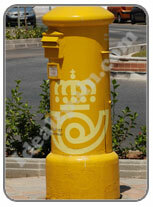 These are becoming very popular especially in tourist resorts and cities. In the larger stores it is quite common to find a variety of small outlets alongside a major supermarket. Many incorporate hair salons, tobacconists, dentists, shoe repairs, camera shops etc, etc. It is common for most large shops to have English speaking staff, especially at customer service counters. If you are looking for a chemist (farmacia), see our section on healthcare here. A farmacia can be recognised by a green cross. Farmacias operate a rota system for late opening. 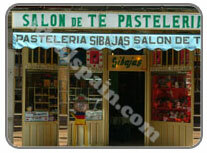 Each farmacia will have a list posted on the door.